I’m Terri, a passionate home cook and baker, award-winning recipe developer, hobby cake decorator, community volunteer, a Weight Watchers online member and busy working mom that is trying to eat healthy and fit everything into not enough hours in a day. I believe in healthy balance and creating recipes for real life. My recipes are realistic for busy people and/or those people out there that don’t necessarily want to spend hours in the kitchen. 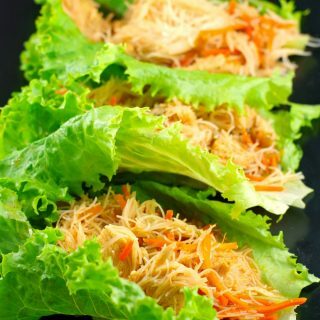 At Food Meanderings you will find easy, quick, make-ahead, healthy, family friendly, Weight Watchers friendly (all points are calculated according to the Weight Watchers freestyle smart points plan) and delicious food. There is some food art, fun food and desserts thrown in for good measure, because I love to bake and believe that you can eat everything in moderation! Being Ukrainian Canadian and a huge fan of Ukrainian food, I also love to modernize traditional Ukrainian dishes. I will also share handy food and kitchen hacks I have acquired along the way. I love all things food and spend much of my spare time immersed in it. As you can see, my food interests are pretty eclectic and I find myself meandering down many different food roads. I also tend to ramble on about food. I started this blog to share those food meanderings and ramblings. I wholeheartedly agree with this quote! Although I try to eat healthy and exercise, I believe that deprivation is a bad thing; food is meant to be enjoyed and enjoying any and all foods in moderation is the key. I also love reading and although I don’t read many “foodie books” I am a huge fan of Anthony Bourdain’s (RIP) writing. Originally from Winnipeg, I have lived in Calgary, Alberta for the last 25 years. By day, I have a great job in primary health care, working with family physicians & their staff on practice enrichment initiatives and integrating and supporting health team members in family practice clinics. But most importantly, I am Mom to Clayton (13), Abby (11) and wife to Dave. And spending time with them is what I love more than anything in this world! I love cats, will pretty much eat any food except lamb, liver and Vegemite, have a degree in Political Science, prefer when there is harmony and everyone gets along, my favourite wine and food pairing is Vinho Verde and Miss Vickie’s S&V potato chips, I can’t carry a tune to save my life, hate sewing and am a bit obsessive, especially when it comes to food. You can thank me for helping to bring Subway sauce back. Really. True story. I love to create recipes for contests because it allows me to be creative and think outside my box. My original and contest winning recipes (See award winners list here) have been published in Taste of Home magazine, Saltscape Magazine, Simple and Delicious, Better Homes and Gardens Family Circle Hometown Cooking Cookbook, The Old Farmer’s Almanac Readers’ Best Recipes 25th Anniversary Edition Cookbook, Calgary’s Child Magazine, Safeway Destination Cheese Champions, Farmers’ Almanac, among other publications and on several websites. I also contribute a monthly food/recipe column for The Rocky Ridge Royal Oak Community newsletter. Because I am often testing new recipes for competitions, my family and colleagues all serve as fearless guinea pigs for many of my food creations. This guarantees that my recipes are thoroughly tested! On a weekly basis I will share my own contest winning recipes/other food inventions and my favorite recipes. 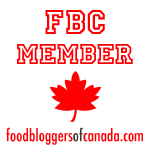 I hope you will find something helpful and/or interesting at Food Meanderings! Disclaimer/Please Note: I recently (2018) began including Weight Watchers Freestyle Smart Point values on my recipes. I calculate the freestyle smart points based on a my nutrition calculator plug-in and my own Weight Watchers points calculator on my WW app. I’m a longtime Weight Watchers Member who believes in the program and their message about the Weight Watchers plan being a healthy and balanced lifestyle and not a diet. However, this site is not affiliated with Weight Watchers in any way. What I write here is about my personal experience on the plan. The views expressed are my own and do not reflect the views of Weight Watchers.